KaraLynne DelToro has been part of Children’s Speech and Language Services for more than 15 years. She began her PROMPT© training in 1999 and became a PROMPT© Certified Instructor in 2005. In addition to teaching PROMPT© courses nationally and utilizing PROMPT© in her clinical practice, she is committed to mentoring clinicians who are new to the PROMPT© experience. Additionally, KaraLynne is part of the feeding team at our Springfield office. She is an active certified member of the American Speech-Language-Hearing Association (ASHA) and a Virginia licensed speech- language pathologist. KaraLynne’s clinical interests in recent years have focused on youngsters and adolescents with motor speech disorders, expressive and receptive language delays and social pragmatic difficulties. Her expertise includes training parents in early language acquisition and stimulation techniques. Other training includes Social Thinking© and completion of a 30-hour comprehensive course in the IMSE Orton-Gillingham approach.Past experience includes working with children and adults in hospital and rehabilitation facilities, home health, and the public schools. Danielle is a licensed a speech language pathologist in the state of Virginia and a active certified member of American Speech-Language-Hearing Association (ASHA). She became a PROMPT© Certified Instructor in 2012. Danielle received her Master’s degree from University of Tennessee – Knoxville and Bachelors from James Madison University. She has worked for the last 20 years in early intervention, private clinics and school settings. Danielle enjoys working with a variety of children who have diagnosis’ in childhood apraxia of speech, developmental delay, motor speech disorders, receptive-expressive language disorders, sensory integration delays, oral-motor feeding disorders and a variety of genetic disorders. 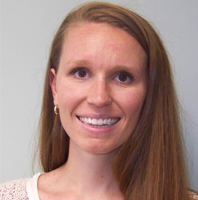 She is trained in Kay Toomey’s SOS (Sequential Oral Sensory) approach to feeding, and is part of the feeding team at our Falls Church office. Danielle also completed the on-line course from the Clinical Papers on Aphasialogy Conference 2014. 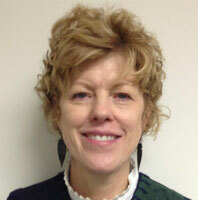 Deena Kennedy has been with Children’s Speech and Language Services, Inc. since 2011. She received her PROMPT© Certification in 2013. She is an active certified member of the American Speech-Language-Hearing Association (ASHA) and a Virginia licensed speech-language pathologist. Deena has experience working with the early intervention population (ages 0-3) and preschool-aged children, as well as elementary-aged children diagnosed with motor speech disorders, language delays and disorders, Autism Spectrum Disorder, attention deficit disorder, sensory integration delays, Down syndrome, and other genetic disorders. Over the past few years, Deena has expanded upon her knowledge of Augmentative and Alternative Communication and received her LAMP (Language Acquisition through Motor Planning) Certification in 2018. She is driven to give every child a mode of communication and is thrilled and inspired each time she can witness one of her children communicating with his/her parents for the first time. Deena enjoys running, traveling, spending time with family, and watching all New England sports. She lives in Falls Church with her husband and two young sons. 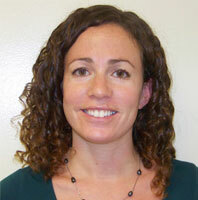 Melissa Friedberg has been with Children’s Speech and Language Services since 2010. Melissa received her PROMPT© Certification in 2013. She is an active certified member of the American Speech-Language-Hearing Association (ASHA) and a Virginia licensed speech-language pathologist. She earned her Masters degree in Speech Language Pathology from Emerson College in Boston. Prior to joining our staff, Melissa worked in the Connecticut public schools as a speech-language pathologist with preschoolers and school-aged children. Melissa has been trained in the use of Orton-Gillingham: IMSE, PECs (Picture Exchange Communication System), Story Grammar Marker, SCERTS (Social Communication Emotional Regulation Transactional Support), DIR/Floortime and Social Stories. She has worked closely with board certified behavior analysts, and attended ABA (Applied Behavioral Analysis) training. Melissa enjoys working with a wide variety of children, including those with autism spectrum disorders, motor speech disorders, Down syndrome, expressive-receptive language delays/disorders, social language deficits, and auditory processing disorders. Melissa runs the Social Skills Groups at our clinic. Melissa enjoys family time with her husband and children. She loves to run and read in her free time. 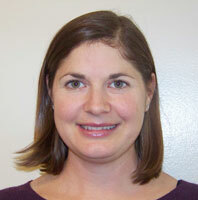 Kathleen Thorp is licensed as a speech-language pathologist in Virginia. She received her PROMPT© Certification in 2017. She is an active certified member of the American Speech-Language- Hearing Association and is licensed to practice speech-language pathology in Virginia and Washington, DC. Kathleen received her B.S. in Communication Sciences and Disorders from Pennsylvania State University, and her M.S. in Speech-Language Pathology from the University of the District of Columbia. Prior to joining Children’s Speech and Language Services, Kathleen worked in public charter and public schools with children preschool-8th grade with a variety of learning needs, as well as providing early intervention services for the birth-3 population. 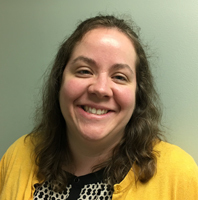 Kathleen has experience working with children with a variety of communication disorders, including: expressive and receptive language disorders, autism spectrum disorder, articulation and motor speech disorders, dysfluency, social-cognitive disorders, and developmental delays. Her continuing education includes: Picture Exchange Communication System (PECS) and Hanen: It Takes Two to Talk, a program focusing on training parents in language acquisition and growth. Kathleen loves spending her free time with her husband, two children, and their dog. She enjoys hiking, cooking, and watching movies. 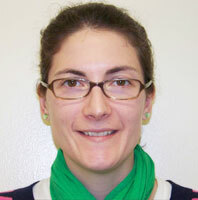 Christine Raymond began working part-time at Children’s Speech and Language Services in 2008. She has completed her second level of PROMPT© training: PROMPT© Bridging: Technique to Intervention. She is an active certified member of the American Speech Language Hearing Association (ASHA) and is licensed to practice speech-language pathology in Virginia. She received her Master’s degree from The College of Saint Rose in 2005. After college, Christine worked in a regular education setting, special education school, and a sub-acute rehab facility in and around Albany, NY. She moved to the Northern Virginia area with her husband in 2007. From 2007-2010, she worked as a staff speech-language pathologist at St. Coletta of Greater Washington. In 2010, Christine began working with Fairfax County Infant Toddler Program. Christine has completed training in PECS, DIR/Floortime, Verbal Behavior, Pivotal Response Training, and Feeding Therapy: A Sensory-Motor Approach. She has completed ASHA’s online Autism Conference. She enjoys spending time with her husband, dog, and two cats. She also relaxes by reading, cooking, and watching movies. Alona C. Ayer-Ziegler is originally from Greenwich, Connecticut. In 2012, she joined Children’s Speech and Language Services and completed the second level of PROMPT©training, Bridging PROMPT©: Technique to Intervention. She is an active, certified member of the American Speech-Language-Hearing Association (ASHA) and a Virginia-licensed speech-language pathologist. Alona received her M.S. in Speech-Language Pathology from the University of New Mexico in 2009. While pursuing her graduate degree in Albuquerque, she gained experience in a variety of settings, including: homes, nonprofit clinics, a public middle school, and a private practice that specialized in alternative and augmentative communication (AAC). Prior to joining Children’s Speech and Language Services, she worked in Washington, D.C at a public charter elementary school and a private school for children grades K-12 with multiple disabilities. Alona has experience working with children with a wide variety of communication disorders, including: articulation and motor speech, auditory processing, dysfluency/stuttering, executive function, phonology, receptive and expressive language, and social pragmatics. She has also worked with children with: ADHD, autism spectrum disorder, developmental delays, Down syndrome, emotional disturbance, fetal alcohol spectrum disorders, and traumatic brain injury. She has a special interest in treating tongue thrust (a.k.a. reverse swallow or immature swallow). Alona enjoys learning about her clients’ interests and incorporating those interests into therapy activities. She has attended continuing education seminars on auditory processing and executive function disorders. Alona enjoys: photography, sailing, track days, traveling, and spending time with friends and family. She is also a color consultant and certified home stager. Amanda received her Master’s degree in Communication Sciences and Disorders from Radford University. She is an active certified member of the American Speech-Language-Hearing Association (ASHA) and a Virginia licensed speech-language pathologist. Amanda has completed her first level of PROMPT© training: PROMPT© Technique. 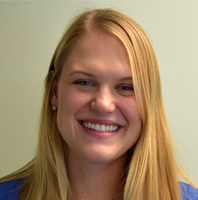 Amanda has worked with children and adults in settings that include private practice, schools (k-12), and outpatient rehabilitation. Amanda’s work experiences have involved working with children who present with autism, articulation/phonology disorders, childhood apraxia of speech, genetic/chromosomal syndromes, hearing differences, neurological disorders, sensory processing difficulties, and expressive and receptive language deficits and delays. She has also led summer social language groups for preschool and school age children. Her continuing education includes: Picture Exchange Communication System (PECS), an augmentative/alternative communication (AAC) intervention for individuals with autism and related developmental disabilities and the Lidcombe Program for the treatment of early stuttering. In her free time, Amanda enjoys cooking, reading, and spending time with friends and family. 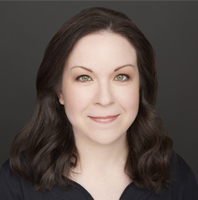 Christie received her bachelor’s degree in Psychology-Linguistics from Emory University and her master’s degree in Speech Language Pathology from University of Maryland. She has completed her second level of PROMPT© training: Bridging PROMPT© Technique to Intervention. Christie is an active member of the American Speech-Language-Hearing Association and a licensed speech language pathologist in Virginia. In addition, Christie is trained to administer the Autism Diagnostic Observation Schedule, Second Edition (ADOS-2). Christie has also received training in Orton-Gillingham: IMSE. In October 2017, she completed the YoKid Basic Teacher Training Certificate to teach yoga classes for children. In June 2018, she received her certification in PEERS® School-Based program. This is one of the few evidenced based program social skills programs developed to teach conversation and friendship skills to adolescents. Prior to working at Children’s Speech and Language Services, Inc. Christie worked at a nonprofit school in Maryland for children with learning disabilities, speech and language impairments, intellectual disabilities and autism spectrum disorders. While there, Christie received training in Social Thinking, Relationship Development Intervention, ABA principles, DIR/Floortime, Unstuck and On Target and executive functioning. She led structured play and conversation groups. She also had the opportunity to collaborate with other professionals to develop and create conversation and social skills curriculums. Christie’s clinical experiences include working with children who present with expressive and receptive language deficits and delays, autism spectrum disorder, language/literacy delays, articulation and motor speech disorders, disfluency, social cognitive deficits, hearing loss and executive functioning deficits. Christie has worked in private school as part of a collaborative team and worked closely with behavioral therapists, occupational therapists and social workers. In her free time, Christie enjoys cooking, yoga, travel and spending time with her friends and family. Anne earned her Bachelor of Science in Psychology from Brigham Young University before attending Harvard Graduate School of Education where she received a Master of Education with an emphasis in Human Development and Psychology. After moving to Los Angeles, she provided Pivotal Response Treatment for children with autism. During this time, she supervised clinicians and conducted training programs for parents and educators. After several years, she returned to the East Coast and earned a Master of Science in Speech Language Pathology from Boston University. Anne has completed her first level of PROMPT© Training: PROMPT© Technique. Anne has experience working with children individually and in groups in both private practice settings and public school systems. Anne loves spending her free time traveling with her husband. She also enjoys playing tennis, cooking and reading. Kristen has over 12 years of experience working with children and adults. She is an active certified member of the American Speech-Language-Hearing Association (ASHA) and a Virginia licensed speech pathologist. Kristen has completed her first level of PROMPT© training: Introduction to PROMPT© Technique. 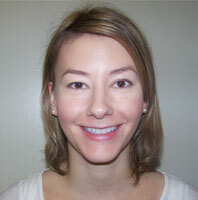 Kristen has extensive experience in the area of feeding and swallowing disorders. 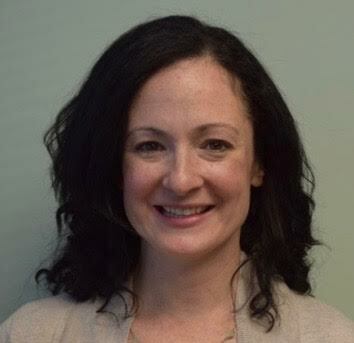 She is trained in Kay Toomey’s SOS (Sequential Oral Sensory) approach to feeding and has experience with both individual and group treatment for medical and sensory based feeding disorders. Kristen also has Vital Stim and DPNS (Deep Pharyngeal Neuromuscular Stimulation) certifications. Kristen received her Master’s degree in Speech-Language Pathology at James Madison University in Harrisonburg, Virginia. Earlier in her career, she practiced speech therapy in the hospital setting with a focus on stroke and traumatic brain injury rehabilitation in adults and children at the acute care, inpatient rehabilitation and outpatient settings. She has worked at the Chambersburg Hospital in Chambersburg, Pennsylvania, The National Rehabilitation Hospital in Washington, D.C. and INOVA Alexandria Hospital in Alexandria, Virginia. Kristen has participated on interdisciplinary teams and collaborated with other medical professionals. She also worked previously in the pediatric private practice setting with medically fragile clients and has treated children ages birth to 18, with a wide variety of feeding, swallowing, and speech and language disorders. In her free time, Kristen enjoys running, flying trapeze and spending time with her husband, two children and two dogs. Jennifer is originally from Philadelphia, Pennsylvania. She received her Master’s degree in Speech Language Pathology from Temple University in Philadelphia. Jennifer has completed her first level of PROMPT© training: Introduction to PROMPT© Technique. She is an active certified member of the American Speech Language Hearing Association (ASHA) and is licensed to practice speech-language pathology in Virginia. Prior to joining Children’s Speech and Language Services, Jennifer worked in public charter and public schools with children in grades K-8, with a variety of speech and language needs. She also has experience working in home health, and at a skilled nursing facility. While working part time at Children’s Speech and Language Services, Jennifer also works for the Fairfax County public school system. Jennifer has experience working with children with a variety of communication needs, including: expressive and receptive language delays, auditory processing disorders, articulation disorders, autism-spectrum disorder, social-cognitive disorders, developmental delays, and fluency disorders. Jennifer enjoys spending her free time with her husband, and her friends and family. She enjoys traveling, running, cooking, and reading. Amanda earned her Bachelor’s degree in Linguistics from the University of Texas in 2008. She has been an employee at Children’s Speech & Language Services, Inc. since 2012, working as our Fast ForWord Computer Camp Coordinator and assisting in a support role for our social skills groups. Amanda received her Master of Science degree in Speech Language Pathology from the University of the District of Columbia in May 2018 and will be completing her Clinical Fellow in June. 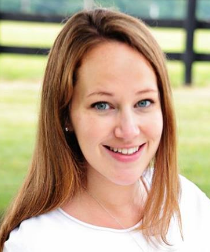 Through her graduate program, Amanda has 2 years of experience providing speech and language therapy services to school-aged children at her university’s clinic as well as schools in Fairfax County and the DC Public School system. She has five years of teaching experience working with elementary and middle school students in both general education and special education classrooms. Amanda completed post baccalaureate course work in child development and has eight years of experience tutoring children of various skill levels in all academic subjects, with emphasis on reading and language skills. Amanda enjoys spending her free with her husband and young daughter, as well as reading and being outside. Linda was born and raised in Houston, TX. She received her B.A. in Communication Disorders at the University of Houston and M.S. in Communication Disorders, Speech-Language Pathology from the University of TX at Dallas. Linda is a certified member of the American Speech-Language-Hearing Association and a Virginia licensed speech-language pathologist. Linda has completed her first level of PROMPT© training: PROMPT© Technique. Prior to joining Children’s Speech and Language Services, Linda worked with students (pre-K to 8th) in public schools, in an outpatient hospital setting, and outpatient multidisciplinary facility. She utilizes a visual, tactile, and sensory approach in therapy and enjoys incorporating theme and literacy skills that can be functional in the child’s natural environment. Linda has worked with children diagnosed with autism spectrum disorders in comprehensive home-based intervention and applied behavioral analysis. She has experience with pragmatic language disorders, developmental delays, expressive and receptive language delays, articulation, oral motor, and fluency disorders. As a Navy wife, she has had the opportunity to live in 6 states and overseas, where she devoted her time to the military community and applied her background in communication to teach English to native Japanese speakers. Her hobbies include site-seeing, attending theatre productions and concerts, yoga, and hiking with her husband, two daughters, and Sheltie.